Earlier this summer my friends at Factor 10 - a leading digital venture building company - asked 140 Chief Digital Officers (CDOs) from across Europe for their opinions about the progress of digital transformation at their companies. There was an overwhelming sense of frustration among CDOs at their inability to fast-track meaningful change within their, mainly, non-digital companies. In this post I lay out the key issues underlying this situation, as I see them, and offer five actions that CDOs can take to make a bigger impact. While CDOs are under pressure to deliver new digital revenues and efficiencies, three key challenges are hindering their ability to execute: lack of clarity and alignment at the corporate leadership and Board level on digital goals and ambitions, a lack of basic digital capabilities within the organisation (skills and mindsets as well as enabling technology), and problems attracting digital talent. When asked how their companies’ business models need to evolve to generate new growth and value, many talked about the need for radical change, even revolution. But most said there wasn’t a clear view of what that revolution looked like in practice, nor was there a clear and compelling roadmap for moving forward. This is hardly surprising when you consider the nature of incumbent businesses today. Most leaders have spent their careers in one sector and have become expert at optimising business models that were created in the last century for an industrial era. In fact, over 90% of the European economy is based on business models that operate a linear process of value creation: sourcing raw materials, creating products, distributing them, then collecting and disbursing payments. The majority leverage physical capital (manufacturers, telcos, retailers, for example), some focus on human capital (service providers like banks and insurance companies), a smaller number exploit more valuable intellectual capital (software and biotech companies). These linear business models were fine before the world became hyper-connected. The challenge for non-tech companies is that while digitisation certainly gives them the ability to operate more efficiently – in terms of new customer interfaces, better information sharing across the supply chain and process automation – it’s also enabling new competitors to enter their markets with disruptive propositions that cherry pick the high margin parts of their business. Added to that their traditional competitors are also investing more and more in new technologies and digital services to stay relevant to consumers and partners. The end result is often a costly arms race within shrinking profit pools. If you’re in the automotive sector, for example, you suffer from multiple business model challenges: a significant increase in the costs of producing increasingly hi-tech and regulatory compliant cars (25% by some calculations) and entirely new competition for share of wallet from digital native companies like Uber who provide ‘transportation-as-a-service’ enabled by asset-light digital platforms. Ultimately auto manufacturers fear they could become mere component suppliers to the more powerful digital business models of Apple, Amazon or Google. As information, objects and people become increasingly connected to the internet the same principles apply to most if not, ultimately, all sectors. The companies who will win are those who can update their overall business models to harness these trends rather than be crushed by them. 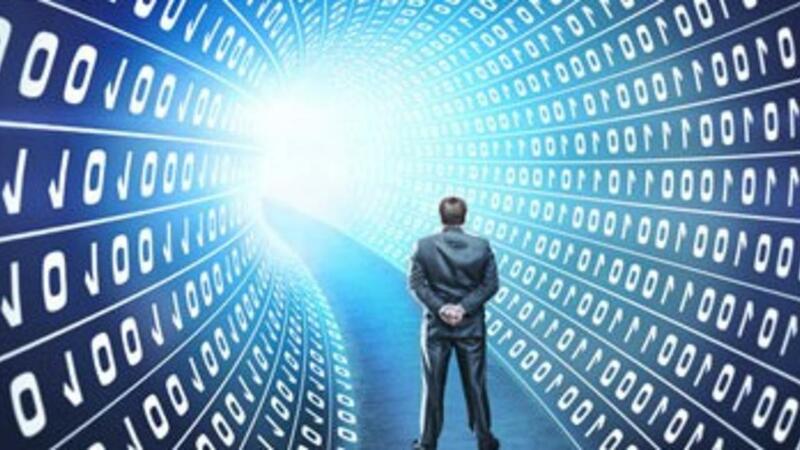 Understanding how to exploit data, software and AI are critical new skills that few incumbents have in place today, as CDOs are all too aware of. But their biggest challenge is about how, in practice, to incorporate the types of business model that work best in a digital, data-centric economy. Many if not most of Europe’s CDOs are aware of the ‘platform-based’ business models that the digital giants operate, and which have proven to be so powerful in generating new growth and value as well as disrupting traditional markets. But research like Factor 10’s reinforces my own experience that very few are clear about how, in practice, to adopt them within their traditional organisations. CDOs can see how efficient and effective these asset-light, data-centric business models are at satisfying customer needs by orchestrating self-sustaining ecosystems around them. However, applying this approach – at scale - to established businesses in traditional European sectors like industrial products, financial services, energy, pharmaceuticals or logistics is a major challenge. Yet this is exactly what tech entrepreneurs are doing, backed by an increasing abundance of venture capital. They are spotting untapped ‘white space’ market opportunities that lie within and across the boundaries of traditional sectors. They are applying rigorous data-driven ‘test and learn’ processes to rapidly create ‘product-market’ fit, and then scaling fast through ‘network effects’. They often start by thinking ‘how could a new digital platform dramatically optimise transactions between participants in this market niche’. Successful entrepreneurs think big by default, are motivated by a strong sense of purpose, and are incentivised by equity structures to scale rapidly. At the same time, established corporates have highly valuable assets and capabilities which entrepreneurs would love to exploit if they had the chance: large customer bases, industrial product management skills, deep domain expertise, local market knowledge, trusted brands, cashflow. Unfortunately today these are focused almost exclusively on supporting the existing business model, which itself is under increasing threat. Corporate ‘intrapreneurs’ may have been on Platform Strategy, Lean Start-Up and Design Thinking courses, but when they get back to the office they are stymied by industrial era mindsets, skills, tools, metrics, incentives. A powerful way to break out of this trap is to combine the capabilities of the corporate world with those of the tech entrepreneur. Current approaches like incubators, accelerators or arms-length financial investments are focusing too much on propping up the existing business model and, as a result, are not moving the needle. It’s time to harness digital thinking, entrepreneurialism and private equity structures more effectively. Below are some actions that CDOs can take to help accomplish their true transformation mission. Many CDOs are doing some of these things already. The point is to do more, better, quicker. Richer digital education for leaders and Boards - facilitate more in-depth training and open discussion on the economics of advanced digital business models, especially multi-sided platforms, ecosystems, AI and entrepreneurial methods of execution. Without a shift in leadership understanding and attitude nothing will change. Re-conceive your markets as ‘ecosystems’ – use a new lens to identify new ‘white space’ growth opportunities before your competitors (old and new) do. Note: these will require new business models, skills and incentives to tackle effectively. Engage tech entrepreneurs in a new way – create new joint venture structures to exploit white space opportunities. Use equity incentives to attract proven digital entrepreneurs. Ensure the ventures are strategically relevant to a clear vision of the future, and you can control them. 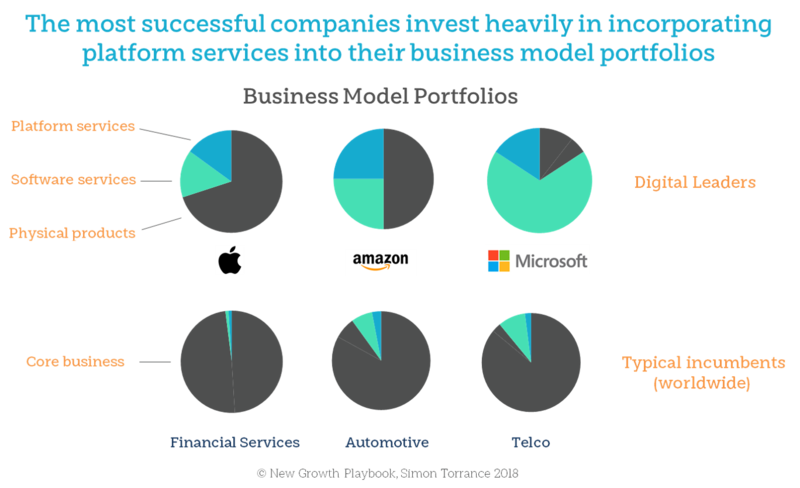 Design a business model portfolio – Increase the proportion of platform-based activity in your mix. Platforms should ideally drive demand for your core business and create new synergies across your portfolio. Create an effective Digital Advisory Board - embed true digital business model and tech entrepreneurial thinking into the Boardroom to stimulate bolder, more creative and more joined-up growth strategies. The European economy is lagging behind China and the US in adopting advanced digital business models. CDOs have an important role to help catch up. The deployment of a few new methods and tools can help fast-track true digital transformation, create step-changes in growth, value and productivity and avoid continuing frustration. For more details on how to truly transform an incumbent business model for the digital economy see the New Growth Playbook and/or come to the Platform Economy Summit on 20-22 November in Berlin.